For the past four years, Beretta has been working diligently to release a quality handgun targeted specifically at the tactical community. Today, with the apropos hashtag of #winthefight, the gun hits the market as the Beretta APX. The APX is a striker fired, full size, duty pistol and its specifications show that it is suitable for military, law enforcement, private security work, home defense and for concealed carry for those that are able to conceal a full size handgun. The preliminary performance I experienced with the APX on the range seems to back up this speculation. With a polymer frame, and a 17 round capacity, the APX fits in with other modern striker fired handguns such as the full size GLOCK 17, 22 and the S&W M&P. 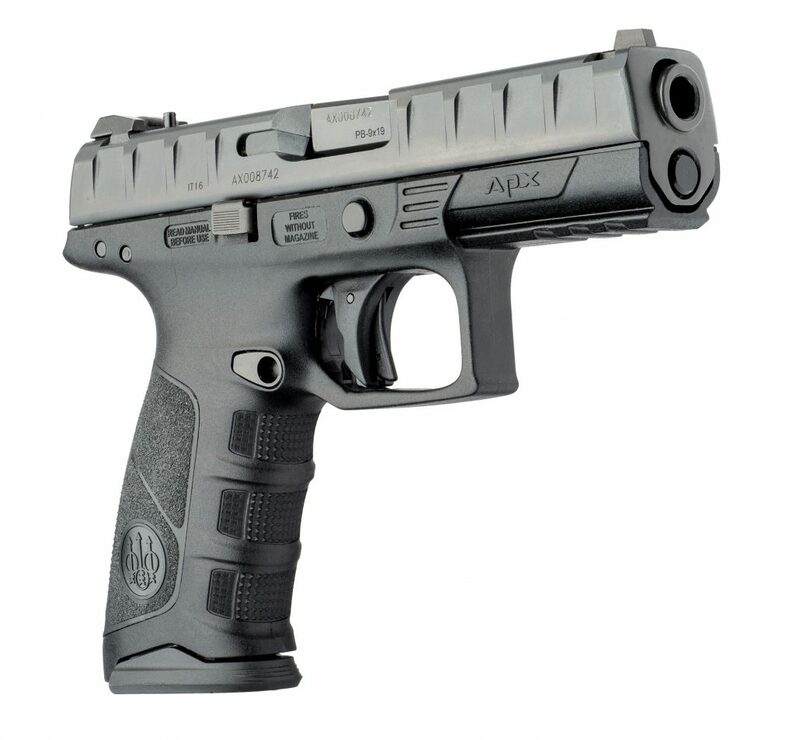 Like these pistols, APX models are offered in both 9mm and .40 S&W. At the same time, the APX may share more in common with the SIG P320 as both are designed as modular guns based on a serialized stainless steel chassis. 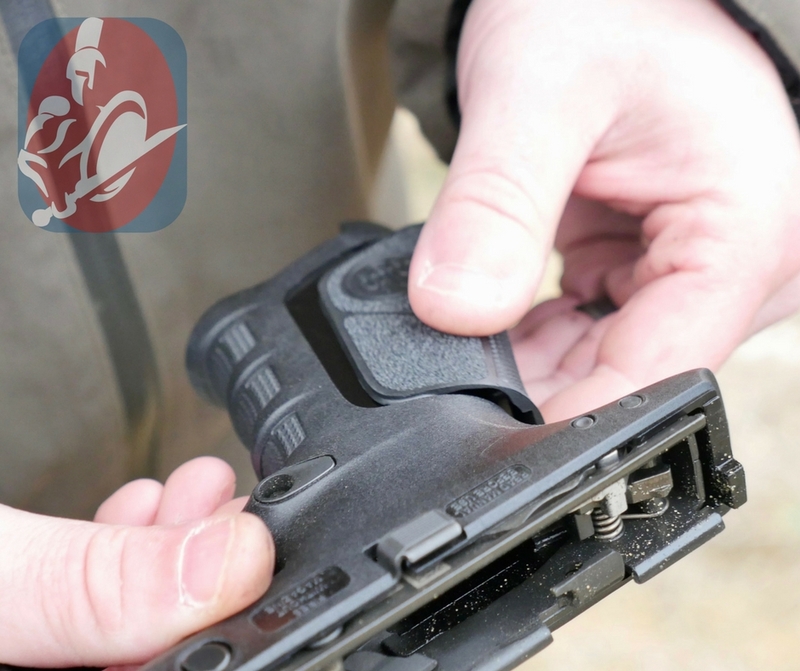 At this time, the modularity of the APX is limited to swapping between 9mm and .40 S&W, changing the grip out to alter the color, and replacing backstrap inserts to improve fit. The design hints at more modular options in the future such as different barrel/slide lengths and different grips to accommodate lower capacity magazines and increase concealability. Time will tell where Beretta takes the modularity of the APX. Beretta’s choice to target the tactical market seems to fit in with the renewed tactical focus of the company as a whole. Although the XM17 Modular Handgun System contract seems all but awarded, Beretta USA and Beretta Defense Technology have their sights set firmly on the American law enforcement market as the primary end user for the time being. Of course, with increased traction in the LE community comes additional notoriety on the commercial side. Of course the modular design will be appealing for departments that need to fit the gun to a wide variety of users and tasks. As it is right now it would make sense that the APX could serve as a capable home defense handgun and with more compact versions, concealed carry with the Beretta APX is certainly appealing. When it comes to shooting, the APX showed to be a solid gun on the range. 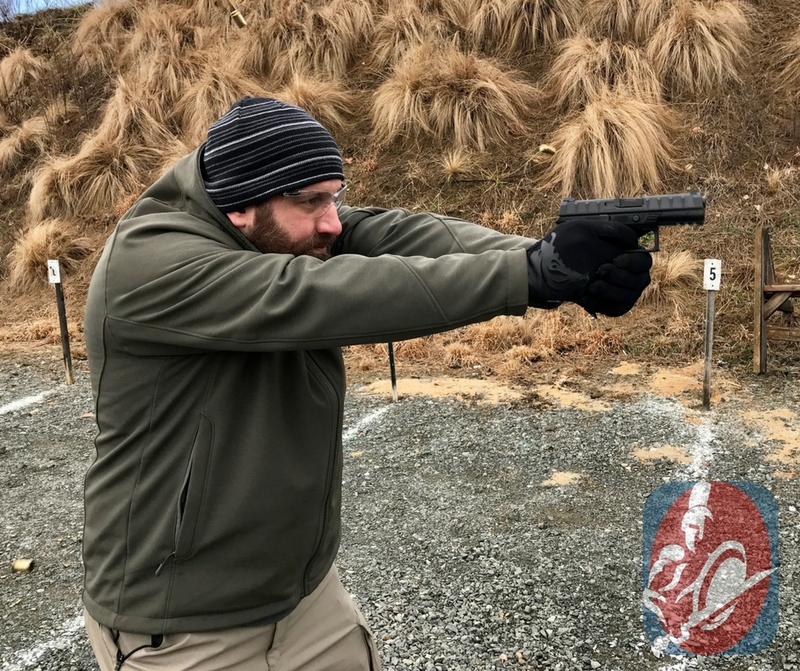 I spent two days with the pistol as a guest at Beretta’s Tactical Summit in mid February, where I had the opportunity to run approximately 600 rounds through the pistol in cool and wet Virginia weather. The APX performed as a fighting handgun should even when the shooters were overloaded by the elements, darkness, complexity and a bit of stress. Of course 600 rounds isn’t a definitive test, however, I was one of 15 shooters in attendance and all the APXs on hand ran in a similar fashion. 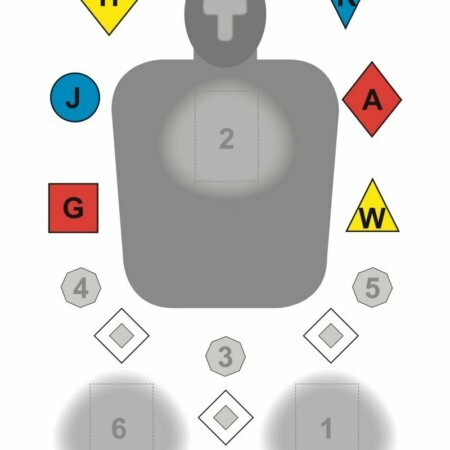 A T&E Copy of the APX should be arriving soon and hopefully this will give me the opportunity to put some more rounds down range and press the limits of the pistol farther than I was able to do in a group setting. Stay tuned for more information as it becomes available. To read more details about the pistol make sure to take a look at my full Beretta APX overview at Tactical-Life.com. In this article I discuss the manner in which Beretta designed and refined this pistol to ensure that it met the needs of the intended end user and I delve into the specifics of the pistol. Although my time with the APX has been short, I am pleased with where the pistol is today and am cautiously optimistic that it will continue to perform at a high level as a tactical handgun. Just as important, I am looking forward to see how Beretta executes on the modularity of the APX. The potential ability to tailor a pistol to my specific needs with factory parts is an intriguing one. 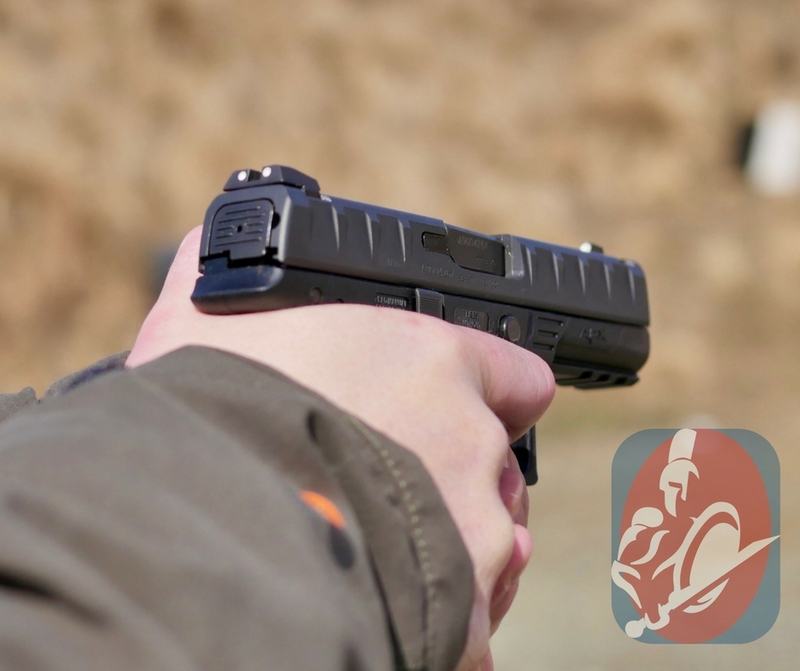 In addition to the overview posted on Tactical-Life.com keep an eye out for my after action report on the Beretta Tactical Summit 2.0 and more in-depth APX information in an upcoming issue of Athlon Outdoors publication, Combat Handguns. Although I am an independent thinker and have formed my own opinions, readers should be aware that the Beretta Tactical Summit was an event held by Beretta USA with the specific purpose of introducing the Beretta APX and educating writers in its features and performance capabilities. I was a guest at the event where Beretta made travel arrangements, housed, fed and entertained me over the course of 2 full days plus travel time.